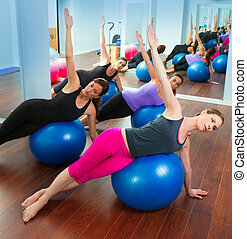 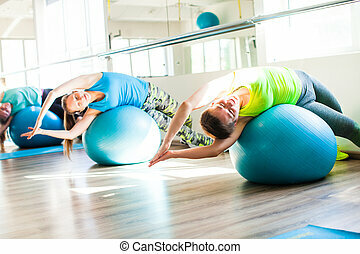 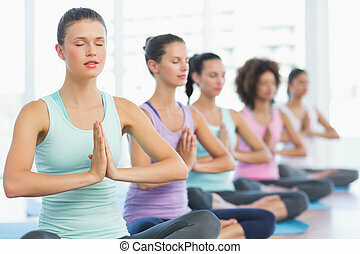 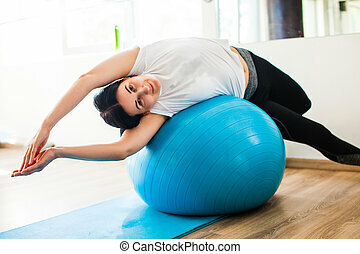 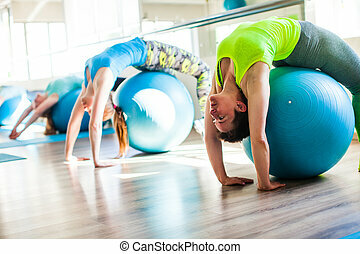 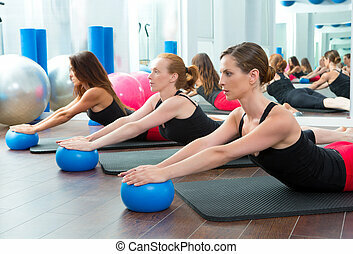 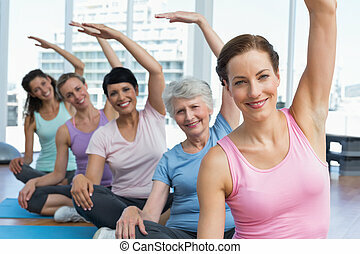 Aerobics pilates women with rubber bands in a row. 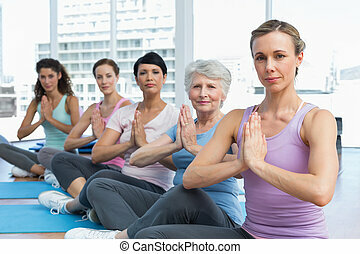 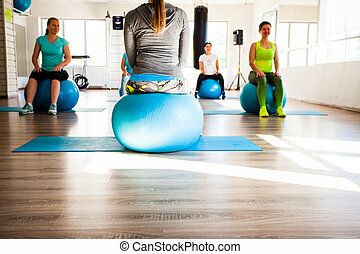 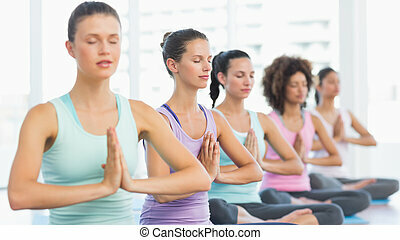 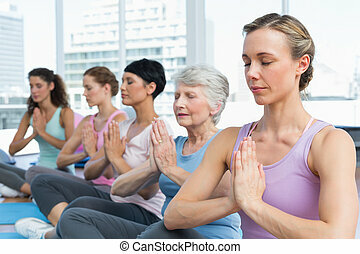 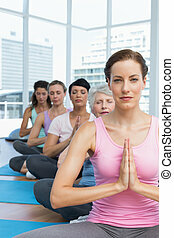 Aerobics pilates women group with rubber bands in a row at fitness gym. 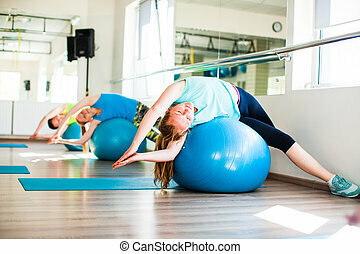 Young sporty woman runner doing exercise with elastic rubber bands outside on a beach in nature.